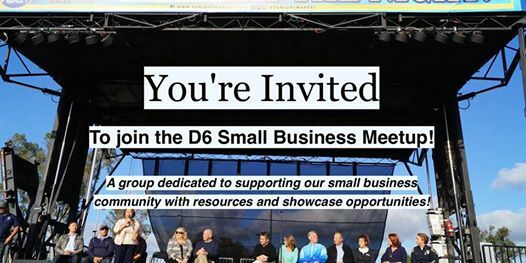 Learn about the D6 Small Business Meetup! Your company is specially invited to connect with, learn about resources, and support our small business community in San Diego! 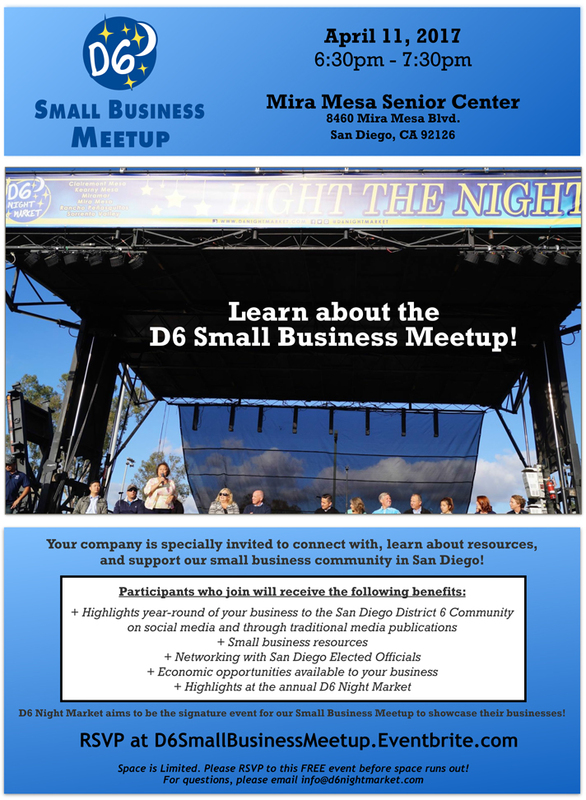 D6 Night Market aims to be the signature event for our small business meetup to showcase their businesses! Space is Limited. Please RSVP to this FREE event before space runs out! Click on the image below for a larger version, or click on the pdf link under the image for a printable version.